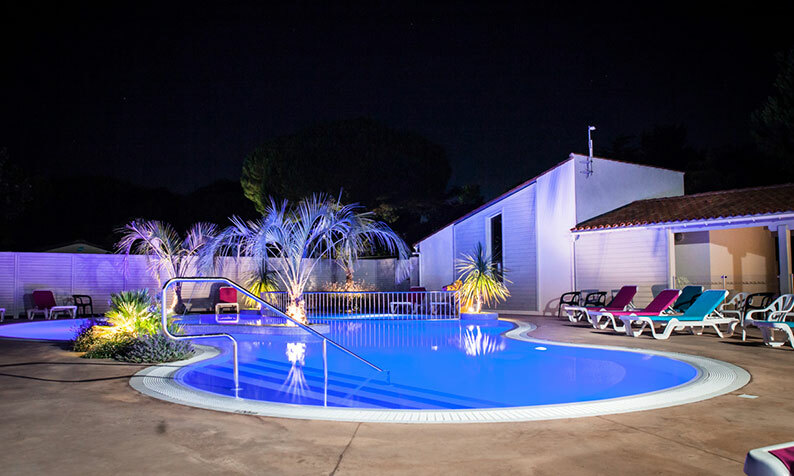 An indoor and outdoor pool, both heated with padding pools. A grocery/bar with bread and pastries baked on site every morning. A playground area for children, a tiny football ground, ping-pong, pétanque ground. 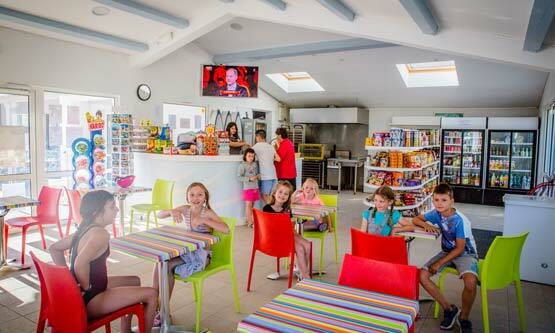 As you can see, we have created a quiet, relaxing and family-friendly atmosphere. We have provided several charcoal grill areas for your convenience. 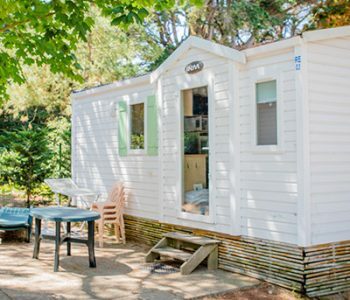 FREE WI-FI is available throughout our campsite on the Ile-de-Ré. We have a bar area with a TV. 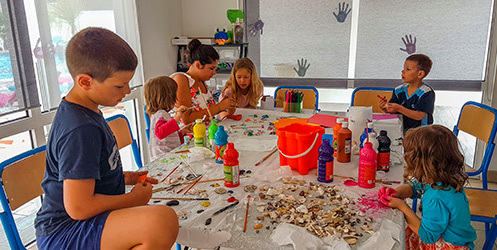 A mini club for children aged 5-11 (in July and August). 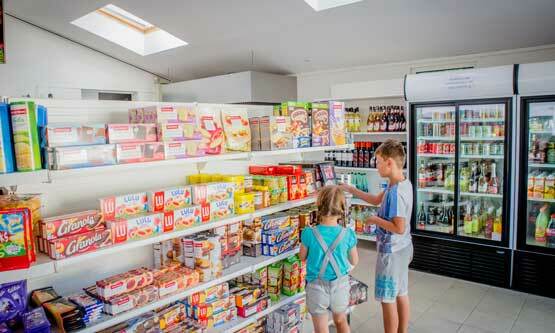 In the grocery, you’ll find food, cleaning and toilet products. Bread and pastries are freshly baked. 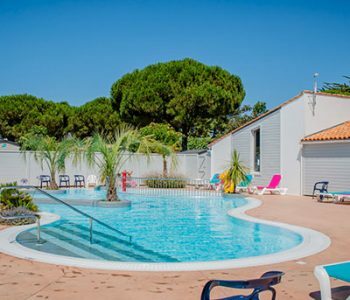 We offer breakfast, fries, ice-creams, hot or cold drinks (with or without alcohol) that you can enjoy at the pool side or in the bar with TV. In July and August, you can watch sports events, documentaries and other TV programmes in the bar. During the low season, the grocery-bar is open from 8 am to 10 am and on request for the rest of the day. In July and August, it is open from 8 am to 11 pm. 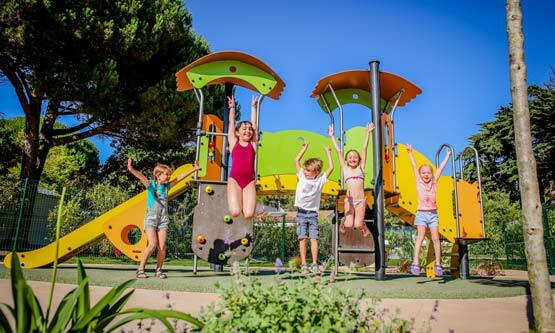 In July and August, the mini-club “Les Ptits Mouss” welcomes children from 5 to 11 years for games and crafts. Registrations to the mini-club, limited number of space. 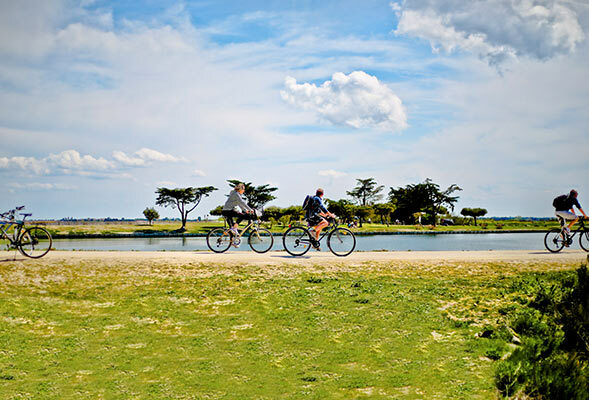 Taking a bike ride with your family, partner, or friends is beyond a doubt one of the most beautiful things to do on the Ile-de-Ré. 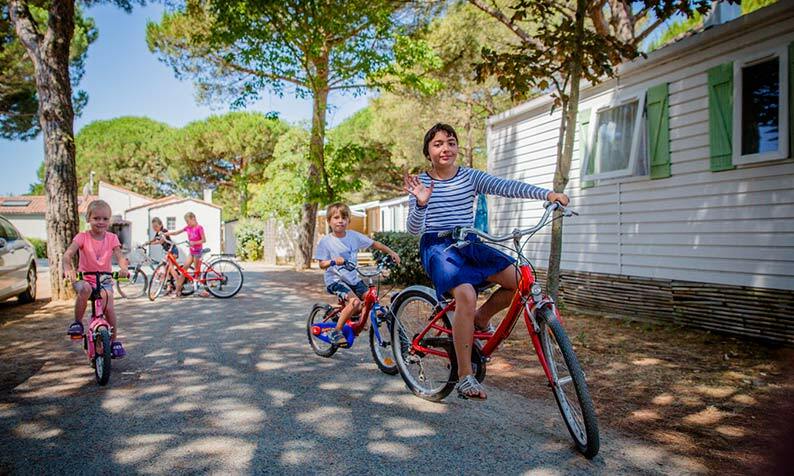 Our campsite offers bike rentals with trailers or seats for children (helmets not provided). 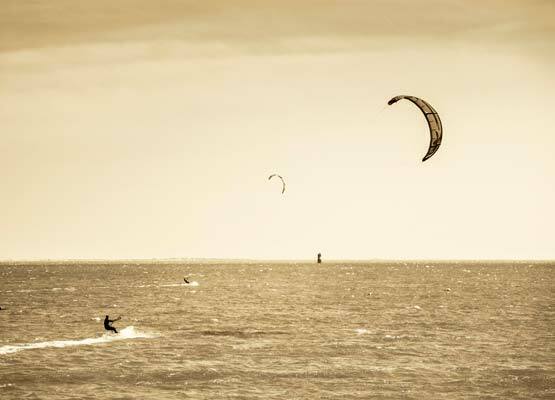 Go ride on the 110 km of bike paths that cover the island. 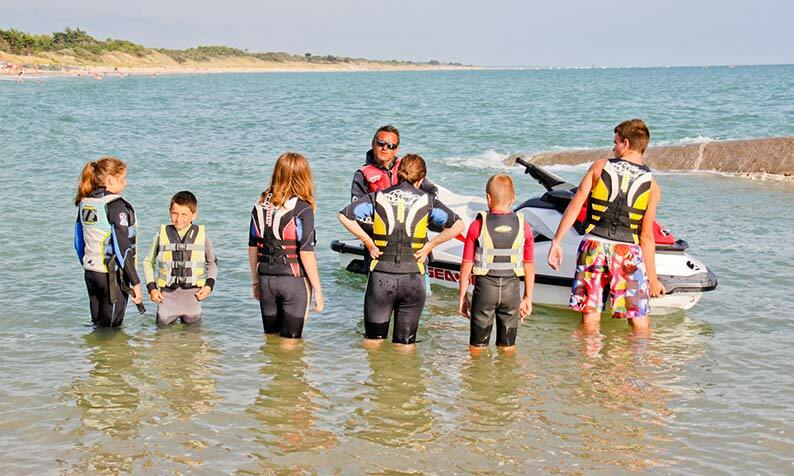 Once on your bike, you will enjoy riding past the vineyards, stopping at a beach or riding through a village to try the Charente specialties. 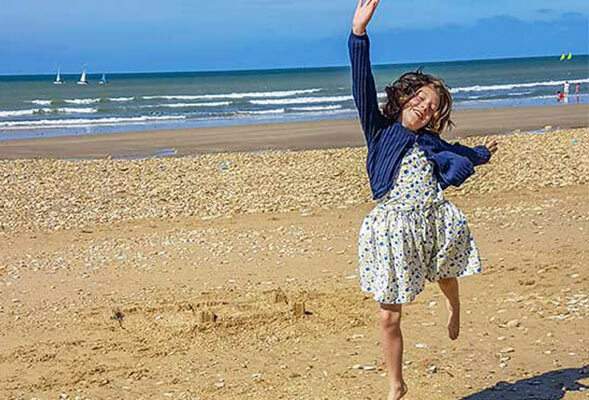 After a hike of about 300 meters on the sand path, you’ll only need to cross the dune to enjoy one of the most beautiful beaches of the island. 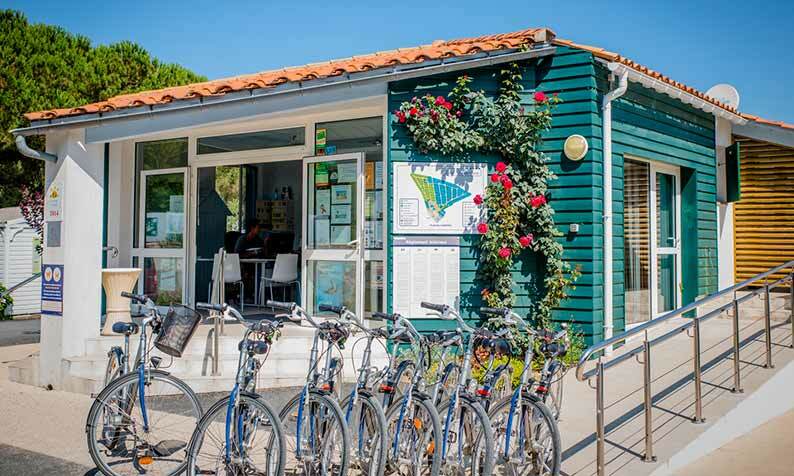 Parents with pushchairs can easily access the beach by foot by l’avenue du “Pas des Boeufs” (about 500 meters). Beach volleyball at the Ré Beach Club. 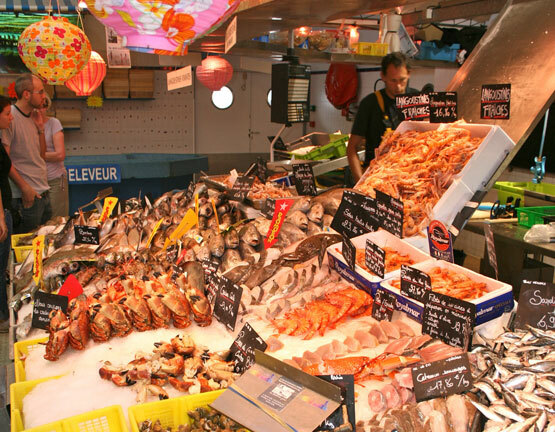 On the market in Le Bois Plage you’ll find various fresh products (vegetables, fruit, meat, fish, oysters and other shellfish …). 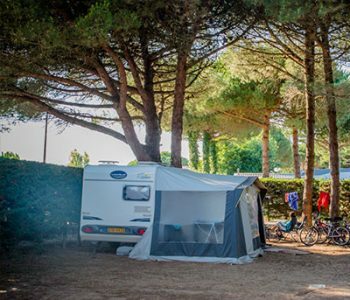 The market takes place in the centre of the village, at 800 meters of campsite Les Varennes. 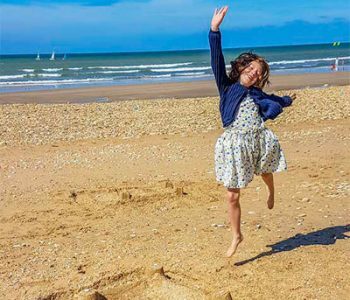 It is the biggest and most colourful market of the Ile de Ré, which takes place every morning from April to September. Near the market you’ll find a mini fair for children! The village also has a supermarket (Carrefour Market), and you’ll find various shops, bars and restaurants for the gourmets.